To support the daunting task of cataloging every collectible ever made, hobbyDB is assembling an international panel of product category experts from across the collecting spectrum. In addition to providing hobbyDB with data and imagery from their own collections, advisors develop category taxonomy and ontology. The advisors below have graciously volunteered to serve on hobbyDB’s Database Advisory Council. Paul has been a passionate collector of antique British and German hand-made metal toys for almost 60 years. With a particular interest in Bassett-Lowke and Märklin toys, Paul has written several articles on this subject. The famous HWC Gary is in charge of content on HotWheelsCollectors.com and the official HW Community. An avid Hot Wheels collector, he joined Mattel in 2003 from Paramount Pictures and Marvel Comics. Frank wrote a number of car books and was also the editor of the Mercedes-Benz Club of America The Star magazine for 25 years. 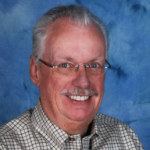 In 1978 he founded Toad Hall Motorbooks, a specialized motor book retailer in 1978. Mark is one of the world’s leading experts on antique toy robots and space toys. He has consulted for auctioneers including Sotheby’s and Morphy Auctions and is one of the top toy robot dealers in the world. He sells through his site www.bergintoys.com. John Beugels has been collecting pre-war Dinky Toys for almost 30 years, mainly planes and boxes. He contributed to the recent “Dinky Toy Aircraft” book by GR Webster and has written articles on Dinky aircraft for the DTCA Journal. Peter has collected corkscrews since 2002. He now has one of the world’s premier collections with a strong focus on English patents and registered designs. Peter’s collection is showcased at his site, Corkscrews Online. Current Hon. Sec. of the Model Railway Society of Ireland, Dave’s collection covers kits and ready to run and includes examples of all known Irish railway models produced by Lima, Murphy models and many others. 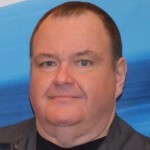 Klaus is the founder of Hugada, or Huge Game Database, listing over 60,000 video games. He has been collecting and playing with home video game systems since the days of the Commodore 16. 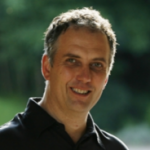 Matthias has a collection of 40,000 Diecast Models, was formerly eCommerce Director at Audi, is now the General Secretary of the Automobile Club von Deutschland and has written 14 books on cars and model cars. Jackie has a vast knowledge of architectural construction toys and shares her enthusiasm on her website at architoys.net. Norman M. Cary Jr is the author of the Guide to US Army Museums and Historic Sites and a list of standard related terminology for historical properties. He has a vast collection of US toy soldiers. As a self-styled “retropreneur”, Ed revives old toy and entertainment brands. Most recently, Ed’s shepherded the rebirth of Captain Action, the original super-hero action figure in comics, collectibles and even a national toy line. 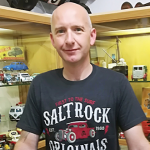 Phil AKA The Toy Hunter is researching tinplate toy companies, particular from Great Britain and is exhibiting his collection in the Liskeard Museum. Hugely well-known amongst the collecting fraternity, Jan collects die cast cars and is an expert on real vehicles, having assembled a record list of over 12,000 vehicle manufacturers. Todd is an expert on Kenner, publishes the Toytales blog and has written his first book on the Kenner Easy-Bake Ovens with a book on Kenner's history in the work. An avid model plane collector, Ron Crawford also produces the 1/200 scale HBM 200 model planes in white metal. 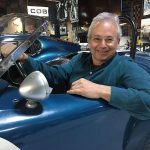 A collector of vintage slot cars, diecast and tinplate auto toys for the past 40 years, Philippe is currently the curator of the LA Slot Car Museum, a private museum dedicated to preserving larger-scale US-made slot cars. Jacques is the curator of the Clockarium, a museum of over 1,000 art deco mantel clocks in Brussels, Belgium. He is also the author of a bilingual Visitor’s Guide to the museum. An avid collector and documentarian of Dinky Toys since 1962, Jacques is the author of the highly-respected Dinky Encyclopedia on DVD, one of the most comprehensive guides to Dinky Toys ever produced. Steve has been collecting promo models for over 30 years and now has over 3,000 of them. He also has a wide variety of other automobilia, including brochures, images, salesman awards and much more. Seb has been a kit builder since the 1950’s, focusing mostly on 1/72 aircraft, with an encyclopedic knowledge of kit subjects. He is a contributing member to boxartden.com. Christian is an avid collector of Matchbox 1-75 Series, and other small-scale brands, especially models of Citroens. He has worked on numerous Matchbox cataloging projects, including his own site. Finn has a long history as an executive in the toy industry, starting with Hasbro in 1976. In over a quarter century there, he saw the toy industry grow from dolls and cars board games into the digital age and beyond. 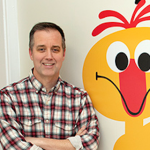 Organizer of the Matchbox Gathering of Friends event, Jim was appointed the 2nd Matchbox Ambassador by Mattel. An expert in 1/64 scale models, he has a collection of about 165,000 model cars. 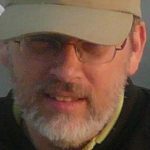 Jim is the co-publisher of the Tomart Hot Wheels price guides, the new HW Newsletter Casting Guide (in partnership with hobbyDB) and is also the editor/publisher of the Hot Wheels Newsletter. He has tremendous first-had experience with the original Redlines since he’s been collecting Hot Wheels since the very first year they came out. Wolfgang has collected Wiking 1/87 models, 1/43 diecast and all sorts of other old toys since 1978. In 1989, he started Goodies Old Toys, dealing in vintage diecast and selling all over the world. 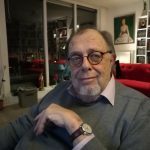 Based in Miami but originally from Argentina, Architect Sergio Goldvarg has been recognized by the Guinness Book of Records as owning the largest model car collection in the world. Together with his wife Marina, he also produced the Goldvarg range of white metal model American cars. 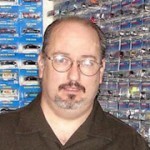 An internationally-recognized diecast collector and 1/64 expert with a background in diecast collecting and the automotive industry, Andy served as editor of a nationally-recognized US model journal and launched ModelPackRat.com, putting him at the heart of diecast collecting. Richard Gottlieb is a well-known toy industry commentator and CEO of Global Toy Experts. He also publishes Global Toy News, the industry resource for toy news, toy trends and analysis of the business of play and is frequently asked to speak at toy industry conferences. Rob is one of the co-founders of the South Texas Diecast Collectors Club, one of the most authoritative lists of Hot Wheels variants on the internet. An early fan of these cars, he collected many of them over the years and his interest was rekindindled when his son discovered them. A historian and author of 11 books on model trains, Pat’s specialty is 00 scale British market trains. Best known for compiling Ramsay’s “British Model Trains Catalogue”, he has also written authoritatively on Tri-ang and Hornby Railways and edits the Train Collectors Society magazine. Wolfgang Handl is a world-renowned collector and cataloger of Pez dispensers with a vast collection spanning the whole of production. 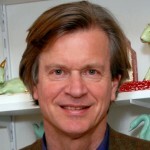 Allen is an authority on toy forts and castles and is currently writing two books about them. He previously collected toy soldiers, starting at the age of 14 in 1948 and continuing until 1987 when he was given his first two toy forts. He now runs his own online museum and shop. John is the author of the “Definite Guide to Matchbox Toys 1-75 Series 1953 to 1969”. Rafi is the author of the book “Israeli Die-Cast Model Cars” and an expert on Gamda, Cragstan, Sabra and other Israeli brands. A veteran of the media industry, Matt has worked on a wide variety of TV programs in numerous capacities, including VFX, producing and presenting. He regularly contributes to “Scale Model News” and has written books on kits, model making, Dr. Who and similar subjects. A lifelong Toy Soldier and Figure collector who has researched and written widely on the subject, Norman organizes the only specialist Old Toy Soldier and Figure show in Europe. He is currently the Editor of Old Toy Soldier Magazine and a partner in Old Toy Soldier Auctions. Manfred started out as an amateur magician and began to collect magic sets in the mid 1990s. He now has the biggest collection in the world with over 2,500 sets spanning three centuries and owns the Zauberkastenmuseum magic set museum. Michael founded his own advertising agency in 1980 which grew to serve a broad range of notable companies, like Revell Monogram. 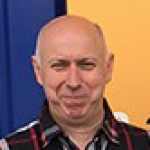 Along with Jay Olins of the D4C, he was instrumental in developing an online community for diecast scale model collectors through the Diecast Zone. 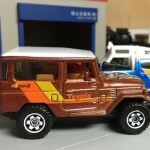 John is one of the founders of the Lamley Group, a popular blog about diecast models, specifically newer Mattel-era Matchbox vehicles. He was named the eighth Matchbox Ambassador, serving in 2013. Allen owns ACE Trains and New Cavendish Books, where he has produced books on many collectible subjects. He has an excellent understanding of numerous areas of toy and model collecting. 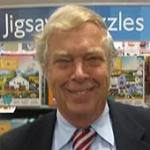 One of the preeminent Matchbox authorities in the world and the author of several books, Charlie founded Matchbox USA in 1977. He runs the Matchbox and Lesney Toy Museum in Durham, CT which has over 30,000 Matchbox Toys. A car lover since childhood, Dean has a collection of over 2,000 vintage model cars (many having been featured in Collectible Automobile magazine) and operated his own toy museum. An expert on HO scale slot cars, Robert maintains a collection of over 8,000 different examples. Robert has written extensively on minor British and American diecast manufacturers like River Series, Rollee, Lincoln and Tootsietoys. He has also authored books on Budgie and Benbros. 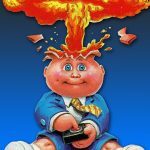 Matt is one of the foremost experts and collectors of Garbage Pail Kids items. He has collected them since they debuted in 1985. Owner of the Brussels Toy Museum, André started off collecting model trains then moved on to mechanical toys, teddy bears and paper theaters. He now has one of the most comprehensive collections in Europe. He also has an interest in wooden toys. 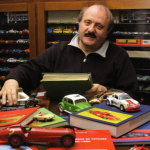 Paolo Rampini is an Italian author and publisher of books on cars and vintage toys who has been writing about automobiles since 1965. He became an author and editor of collectible toys and models in 1982. 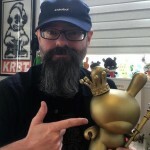 Allen is VP of Product and Marketing for Kidrobot as well as an avid collector of action figures and original art from comic books He has worked for various toy and game companies throughout his career. Soupie is an active collector and documenter of mono-colored mini-figure toys. He currently researches and documents both Japanese and Western mono-colored mini-figures on his blog. Ulrich Schweizer is the author of numerous books about Schuco and other German tin toy manufacturers. He also buys and sells toys via his website www.tin-and-toys.de. Jerry has a collection of over 30,000 puzzles, which he houses in a puzzle museum near Beverly Hills, California. William is one of the founders of Auto-Archives, a library of periodicals, books, manuals, and other automotive publications. Richard collects vintage wooden toys with an extensive collection of wooden vehicles. He has mounted several exhibitions, has designed a toy photo book and is currently documenting his collection in its entirety. Hooked on LEGO since receiving his first package at the age of 5, Richard has run his own LEGO website www.minland.nl since 2003 with a particular emphasis on vintage LEGO and its history. John publishes “Miniature Warfare and Wargaming Magazine”, manages the Tradition Militaria Shop in London and owns the Soldier Shop in Lambeth. He also makes Soldier’s Soldier, a range of 54mm figures and wrote “Discovering Wargames” and “The World of Model Soldiers”. 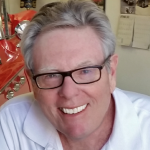 Steve Volk is the president of the Shelby American Collection, a museum of everything related to Shelby automobiles located in Boulder, Colorado. The collection, a project Volk worked on closely with the man himself, Carroll Shelby, began in 1966 to preserve the car's storied history in racing and American culture at large. Botho has written many books on collectible and toy subjects, including Märklin, Coca-Cola, tin toys and (co-authored with his wife Alice) Kaethe Kruse Dolls, on which Alice is an expert herself. He also has a noted collection of tin toys, including rarities by Bing and Märklin. Arthur became fascinated with Airfix model airplanes when he was a child growing up in England. He has written numerous books about Airfix models as well as other military collectibles and TV and film toys. Geoffrey has a leading collection of Lalique Car Mascots, has written a book on the subject and in the past has a significant collection of pedal cars about which he also wrote two books. Matt is a passionate collector of all things commercial aviation and is dedicated to preserving the artifacts and personal stories related to it. Bruce is considered to be the leading historian of American games and has written two books on the subject. He has a collection of around 800 games (he sold 6,000 more to a French archive). He owns the world’s largest collection of US advertising games and premiums. Michael Wiertelorz began collecting model Ferrari cars in 1998 and joined the FMC (Ferrari Model Club) in 1990. Since then his collection has grown to include more than 5,700 models. Anne is a historian of American jigsaw puzzles, the author of several books on the subject and has served as curator for major museum puzzle exhibitions. David is an avid collector of 1/43 scale models of British sports cars and has written three collectors guides on the subject. Chang Yang Fa’s MINT Museum can still only show a small amount of his 100,000 item collection at a time! Most of his toys are mint and boxed, inspiring the museum’s name – “Moment of Imagination and Nostalgia with Toys”. Sadly, some of our Advisors are no longer with us. hobbyDB fondly remembers these Advisors and their contributions to the site. A collector for over 25 years, Steve has one of the world’s largest collections of toy guns and holster sets. He has written numerous articles on the subject and is an advanced collector of ray guns as well. Having followed his father to work at DCMT, parent company of Lone Star, Geoffrey is an expert on both. 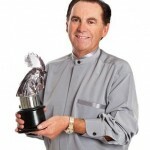 He has written two books, “Toys That Time Forgot” and “The Bumper Book of Lone Star Diecast Models and Toys 1948-88”. The late Peter Golden was an expert on Dinky Toys, especially figures and accessories but also on general Modelled Miniatures and Dinky Toys from the UK factory from 1931 up till around 1964. Additionally, he was the technical officer of the Dinky Toys Collectors Association (DTCA) and was responsible for the DTCA Website. Marcel joined the Mettoy Company in 1954. He was soon promoted to Chief Designer and was directly involved in every single Corgi Model produced till the company went into administration in 1983. He wrote “The great book of Corgi 1956 – 1983” and “The new great book of Corgi 1956 – 2010”. A highly-decorated Vietnam era pilot, Geoffrey R Webster, known as GR, built one of the world’s best collections of model aircraft. He founded The Miniature Aircraft Quarterly magazine and club for model aircraft collectors and the Miniature Aircraft Collectors forum. He also authored numerous books on model aircraft.